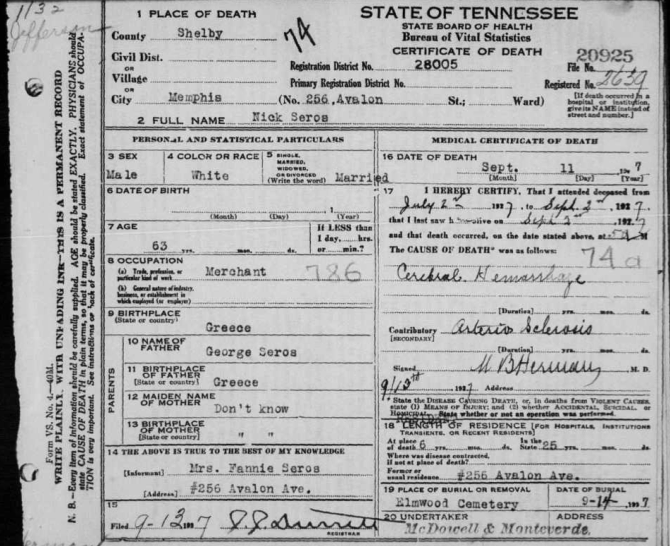 FamilySearch.org offers a FREE database titled TENNESSEE, DEATH RECORDS, 1914-1955. It includes 609 people who have Greece listed as their place of birth. You will be able to view the actual death certificate. The collection consists of Death records, 1914-1950; and Death certificates, 1951-1955. The collection includes a general index (with some volumes individually indexed) and images. The state of Tennessee began recording deaths in 1914.